The US has added the son of Hezbollah leader Hassan Nasrallah to the list of Global Terrorists. The US State Department on Tuesday announced it has designated Jawad Nasrallah and the Al-Mujahidin Brigades (AMB) as Specially Designated Global Terrorists (SDGTs) under an Executive Order which imposes sanctions on persons who have committed, or pose a significant risk of committing, acts of terrorism that threaten the security of US nationals or the US in any way. The designations will deny Nasrallah and AMB the resources to plan and carry out terrorist attacks, State explained. All of their property and interests subject to US jurisdiction have been blocked, and US citizens are prohibited from engaging in any transactions with them. The Department of State has also reviewed and maintained the Foreign Terrorist Organization (FTO) designation of Hezbollah, which was originally designated as an FTO in 1997 and as an SDGT in 2001. The State Department noted these actions maintain the momentum of the Administration’s snapback sanctions on Iran. Hezbollah is heavily supported by Iran, and the sanctions on Tehran have significantly hindered Hezbollah’s cash flow. Jawad Nasrallah is the son of Hezbollah’s leader and SDGT Hassan Nasrallah, as well as a rising leader of Hezbollah, the statement noted. Jawad Nasrallah has previously recruited individuals to carry out terrorist attacks against Israel in Judea and Samaria. In January 2016, he tried to activate a suicide bombing and shooting cell, but Israel arrested the five Palestinians he recruited. AMB is a military organization that has operated in the Palestinian Territories since 2005 and whose members have plotted a number of attacks against Israeli targets. AMB has ties to Hezbollah, and Hezbollah has provided funding and military training to AMB members. Similarly, Assistant Secretary of Diplomatic Security, Mike Evanoff told reporters on Tuesday during a briefing that the State Department’s Rewards for Justice program is offering rewards of up to 5 million each for information leading to the identification or location of Hamas leader Salih al-Aruri, and Lebanese Hezbollah leaders Khalil Yusif Mahmoud Harb, and Haytham Ali Tabatabai. Salih al-Aruri is a deputy of Hamas’s political bureau and one of the founders of Hamas’s military wing. He is currently living freely in Lebanon, Evanoff revealed, where he is reportedly working with the Iranian Islamic Revolutionary Guard Corps (IRGC) Quds Force. 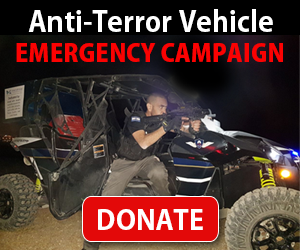 Al-Aruri raised funds for and directed Hamas military operations in Israel and has been linked to several terrorist attacks, hijackings, and kidnappings. In 2014, al-Aruri commanded the 2014 terrorist kidnapping and murder of three Israeli teenagers, including dual US-Israeli citizen Naftali Frenkel. The US Department of Treasury designated al-Aruri an SDGT in September 2015. Khalil Yusif Mahmoud Harb is a close advisor of Nasrallah and has served as the group’s chief military liaison to Palestinian terrorist organizations. Harb has commanded and supervised Hezbollah military operations in the Palestinian territories and several countries throughout the Middle East. The US Department of Treasury designated Harb a specially designated global terrorist in August of 2013. Haytham Ali Tabatabai is a key Lebanese Hezbollah military leader who commanded Hezbollah Special Forces in both Syria and Yemen. He was designated an SDGT in October of 2016. The Hamas and Hezbollah organizations receive weapons, training, and funding from Iran, which the Secretary of State has designated as a state sponsor of terrorism. The Department of State designated both Hamas and Hezbollah as foreign terrorist organizations in October 1997, and as specially designated global terrorist entities in October 2001. Evanoff noted that the Rewards for Justice Program has been an effective tool in the US’ fight against international terrorism. Since its inception in 1984, the program has paid in excess of $150 million to more than a hundred individuals who provided information that prevented international terrorist attacks or helped to bring terrorists to justice.